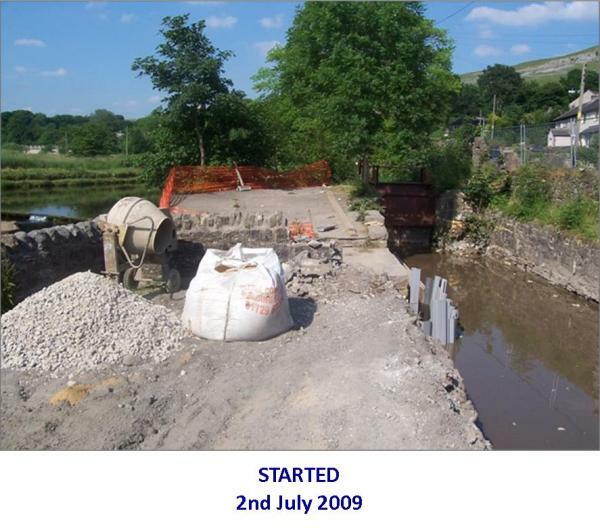 The idea for Settle Hydro was first floated when Steve Amphlett was approached in August 2007 by Water Power Enterprises (H20PE), a Community Interest Company with a mission to develop hydro power schemes to tackle global warming. At that time, Steve was Chairman of both Settle Chamber of Trade and 'Going Green in Settle'. H20PE had identified Settle Weir as a potential location for a low-head hydro scheme and were looking for a local community group with which they could form a partnership to build the Hydro. Steve jumped at the chance to be involved and quickly recruited Ann Harding to the cause. After an extremely challenging but exhilarating 28 months the Hydro began to generate clean, green, renewable energy in December 2009.